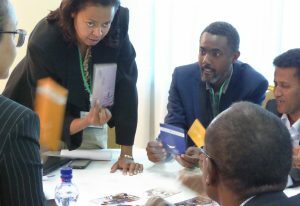 This is a guest post from Winnie Khaemba, Research Fellow at INASP partner, the African Centre for Technology Studies, about a series of climate roundtables that have been held in Kenya to bring together scientists and policymakers. This project is supported by a grant from INASP as part of the VakaYiko project. Over the past year, the Climate Resilient Economies programme of the African Centre for Technology Studies (ACTS) has been running the Kenya Climate Science, Technology and Policy Roundtables on a quarterly basis. This roundtable series aims at helping to bridge the gap between research and policy making in Kenya on climate-change and to strengthen the links among Kenyan climate policymakers, researchers, communities and civil society. The roundtable series seeks to document and disseminate lessons learned on effective mechanisms for facilitating the use of research evidence in climate legislation, policy and implementation in Kenya. Since 2014, the Kenyan Parliament has been discussing the Kenya Climate-Change Bill. The Bill is currently before senate, having passed the lower chamber of Kenya’s parliament. 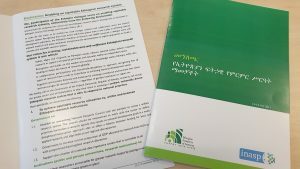 A draft climate-change policy currently awaits sign-off by the Ministry of Environment and Natural Resources (MEWNR). The quarterly climate-change roundtables build on the bill and policy by bringing together stakeholders and using research evidence to facilitate dialogue on harnessing climate science, technology and innovation for climate-change adaptation and mitigation in Kenya. The roundtable series is distinctive because it seeks to encourage dialogue and communication across ‘silos’ by bringing together stakeholders. These include the Ministry of Environment; members of parliament; private-sector players under the Kenya Private Sector Alliance (KEPSA); academia; civil society, encompassing the Kenya Climate-Change Working Group (KCCWG), the Pan African Climate Justice Alliance (PACJA) among others; and international organizations such as the IDRC, UNEP, FAO, IUCN among others. 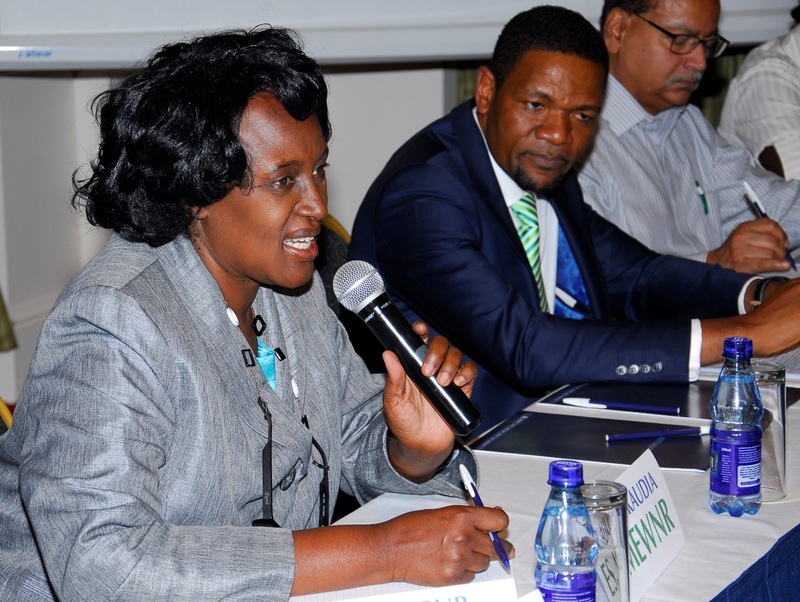 The first roundtable in November 2014 focused on science, technology and innovations in influencing the policy-making process in Kenya. This highlighted policy making as a complicated non-linear process where consultation with all relevant stakeholders is imperative. The second, in February 2015, focused on different approaches to adaptation comprising; ecosystem based adaptation, community based adaptation and nature-based adaptation in Kenyan climate-change policy making. 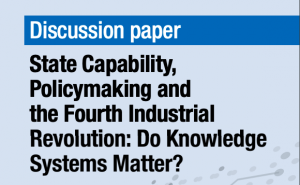 The third roundtable in May 2015 discussed the extent to which Kenya’s interventions are anticipatory and/or reactive; linkages between science and technology bodies that would aid in mitigation (and/or adaptation); and inclusiveness in Kenya’s climate-change bill and policy. A fourth roundtable, held in August 2015, focused on climate finance. The policy roundtables have provided a platform for different stakeholders to share what has worked in specific contexts, thus promoting cross-sectoral learning. One thing that stood out was the limited integration of climate-change adaptation and mitigation in planning, both at national and county levels, which means that resources are not sufficiently allocated. This makes it difficult to conduct research, for instance, mapping out priority areas and design interventions. The capacity of communities, government, and research institutions as well as the private sector was also highlighted, with consensus that all these players need to synergize efforts for better informed decision making. The project also involves a shadowing component with two Distinguished Policy Fellows (Dr Alice Kaudia, Environment Secretary, Ministry of Environment, Water and Natural Resources and Dr Wilbur Ottichilo, Member of Parliament Emuhaya Constituency and sponsor of the original climate-change bill) and two scientists (Dr George Mwaniki and Dr Philip Osano) shadowing the policy makers. The Fellows and Researchers will publish at least two papers on evidence-informed policy making in climate legislation and policy in Kenya. A 20-minute documentary providing a summary of the project in an audio-visual format will be released at the end of the project. 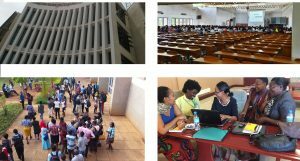 ACTS is a leading intergovernmental policy research think tank working on issues of science, technology, innovation and sustainable development in Africa. The core mission of ACTS is to enlarge the range of policy choices for Africa’s sustainable development. The ACTS Climate Resilient Economies programme aims at an African economy that has transitioned from a state of vulnerability to a state of resilience to impacts of climate-change through: climate-change adaptation and mitigation; disaster risk preparedness; climate resilient infrastructure; and low carbon development. To read discussions from the roundtables please follow ACTS on Twitter @ACTSNET using the hashtag #ACTSPolicyRoundtable.